Welcome to Student of Peace, a site dedicated to the peace initiatives and peace philosophy of Sri Chinmoy. 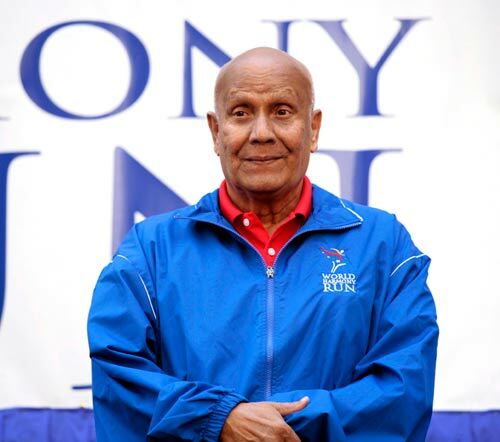 Sri Chinmoy, is a Spiritual Teacher who strives to share a vision of peace – both inner and outer. Sri Chinmoy was born in Bengal, India in 1931. At the age of 12, with his sisters and brothers he entered the Sri Aurobindo Ashram. During his time in the ashram he spent considerable time in prayer and meditation, whilst simultaneously cultivating interests in literature, music and sports. In 1964, following an inner call, Sri Chinmoy travelled to the United States to share with Western seekers the fruits of the East’s strong tradition of inner reflection and meditation. From the mid 1960s to his passing in 2007, Sri Chinmoy established meditation centres in over 60 countries around the world, serving as a spiritual guide to those who wished to follow his path of yoga. Sri Chinmoy led an active life, demonstrating that spirituality is not an escape from the world, but a means of transforming it. A noted author, musician, artist, meditation teacher and athlete, Sri Chinmoy, above all, wished to be remembered as a ‘student of peace’ To this end he established numerous peace initiatives which touched the lives of many people around the world. According to Sri Chinmoy, peace is a positive force – dynamic and creative. Sri Chinmoy felt the secret to peace was to first discover it from within. To Sri Chinmoy, it is always the individual who is responsible and able to bring about a real and lasting peace. Sri Chinmoy believes that the foundation of peace must come from a common awareness of a shared source, a oneness within their cultural diversity. If there is a feeling of superiority or inferiority there can never be a lasting peace. One of his most striking forms of peace expansion which Sri Chinmoy has pioneered is that of his Peace Concerts. Sri Chinmoy viewed his peace concerts as a practical way to share a message and experience of peace. During the concert, Sri Chinmoy would play on a variety of instruments from a soft ethereal flute to a powerful organ improvisation; the concert would also be opened with a short moment of silent meditation, where several thousand people would have an experience of inner stillness. – Le Monde, Paris, France. Sri Chinmoy felt music had the capacity to transcend boundaries and human nationalities. In the traditional Indian fashion, Sri Chinmoy offered his concerts free, on the basis spirituality is everyone’s birthright and can never be bought and sold. – Common Ground, Melbourne, Australia. Many ambassadors and foreign ministers who attended the Peace Meditations expressed their appreciation for this aspect of the United Nations. An award given by Sri Chinmoy: The Peace Meditation at the United Nations. On 13 November, 1986, Sri Chinmoy was invited by the Speaker of the House of Commons, Bernard Weatherill and Viscount Tonypandy to inaugurate a similar period of meditation at the British parliament. At a time when religious differences continue to create turmoil in the world, Sri Chinmoy has strived to promote unity and global awarness among the world’s religions. Although he was raised a Hindu, his philosophy is that of a universal truth-seeker and peace-lover. He believes each person should seek to maintain the traditions of his own religion and also foster a sense of universal spirituality upon which world peace must eventually be found. Sri Chinmoy has met with many leaders of world religions to foster this sense of shared values and common spirituality.